Though I spent much of last week at HAuNTcon, I have been eagerly following events taking place on YouTube as channels such as popular channels such as I Hate Everything, Eli the Computer Guy and Channel Awesome have all had their accounts lose monetization and face other restrictions over seemingly minor infractions. 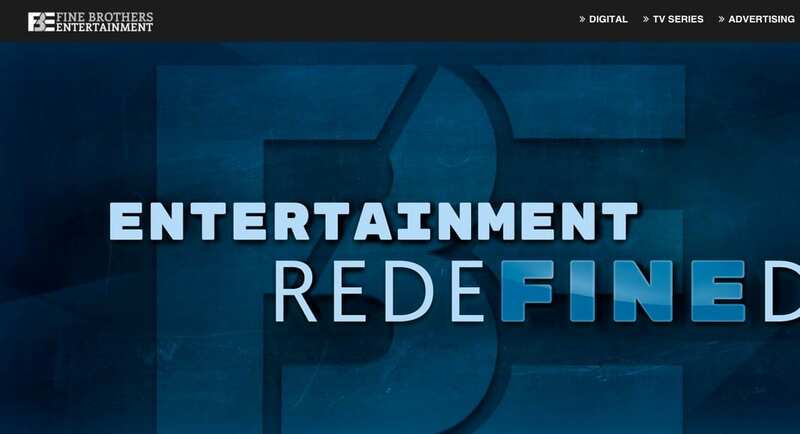 The issue was further compounded by a controversy surrounding The Fine Brothers and their attempts to trademark their brand of reaction videos and launch a “React World” program that would franchise out their style of videos (for a fee). Between these stories YouTube, seemingly overnight, became the center of a whirlwind of controversy that attacked nearly every policy the site has including its community policy, its copyright policy and its trademark policies. If you’re a YouTuber, obviously these stories are crucial because they directly impact both your chosen platform and the rules your work is governed by. If you’re a creator and not on YouTube, these are still an important set of stories to understand because they illustrate not only the dangers of relying on a third-party platform for your revenue but the risks in being overly aggressive when protecting your intellectual property. In short, the events on YouTube are a powerful cautionary tale for all creators, large and small, but the real message and the real danger is getting lost in all of the (understandable) anger. However, to show why this is the case, we have to first look at each of the stories and see how they are related. On January 19th, on his secondary channel, Alex from I Hate Everything (IHE) posted a video entitled “IHE TAKEN DOWN BY YOUTUBE“. According to the video, his main channel had been suspended by YouTube on the grounds it violated the site’s community guidelines. Alex stated that YouTube had failed to provide any indication as to the exact rule he was breaking and the only hint was that one of the emails he received reference YouTube’s policy against spamming. However, with over 350,000 subscribers, IHE was certainly not a spam channel. Three days later, the channel was restored, but questions still lingered as to what prompted the suspension. But while IHE may have been among the first, it was not among the last to feel this sting. Soon after Eli the Computer Guy, AlternateHistoryHub and Channel Awesome all began to have trouble with their YouTube channels as well, in particular with monetization. The reasons varied, Eli, like IHE, was hit with a community guidelines violation but Channel Awesome was hit with a single copyright strike. In all cases though, the infractions were relatively minor and, previously, would not have caused serious issues. However, now they were causing the channels to lose their monetization as well as other features they needed to operate. In each of the above cases, the creators attempted to solve their problems by working with YouTube but were unable to find a solution with some waiting weeks for a response. However, also in all three cases, monetization was restored after the videos complaining about the issue went viral and their fans let YouTube know their displeasure. But despite the restoration, questions lingered about how safe YouTube is as a platform. With many creators depending on YouTube monetization for their livelihood, the thought of YouTube simply stripping away all revenue over a minor (and, in some cases, dubious) infraction is frightening. That’s a big part of why this story has sent shockwaves through the YouTube community. But it wasn’t the only story on YouTube that went viral over the past week. The Fine Brothers are a YouTube channel that have popularize the “React” format of video which includes individuals reacting things they are not familiar with. Examples include teens reacting to older music, people reacting to food from another country and seniors reacting to modern culture. On January 26th the channel owners launched React World, an attempt to license their brand of reaction videos to other channels in exchange for a cut of the profit. The move followed a tradmark filing in July 2015 that attempted to protect 11 of its shows including “Kids React”, “Elders React” and “React Gaming” among others. The reaction was swift and immediate with viewers, in particular many on Reddit, decrying the change. Not only were a slew of spoof “react” videos made lampooning the channel, but a live stream was launched showing the channel’s dropping subscriber numbers, which dipped well below 14 million because of the controversy. One attorney, Ryan Morrison, went as far as to offer pro bono legal help for anyone who felt they might be impacted by the Fine Brothers trademark, encouraging them to let him file on their behalf in a bid to get the marks cancelled during the public commentary period. The situation wasn’t helped by a series of ill-advised copyright takedowns by the channel, including one on a video that had just eight views and was parodying the channel. Rescind all of our “React” trademarks and applications. Discontinue the React World program. Release all past Content ID claims. Morrison posted on Reddit confirming that the brothers have abandoned the marks and that he had seen the receipts. While the story seems to be winding down, the backlash combined with the uproar over the channel issues made this a very rough week for YouTube and many rightfully wondering what’s next for the video sharing site. On the surface, these two stories sound like very different problems and, in many ways, they are. The first, it appears, was caused by a change in YouTube’s abuse algorithm that went a bit haywire. This is because YouTube, due to its size, relies heavily on automated tools for community moderation. According to Eli the Computer Guy, he was informed YouTube introduced a change to their algorithms that did not go as planned and resulted in a lot of channels being undeservedly suspended or lose monetization. YouTube claims to have fixed the issue but only time will tell if that’s true. As for The Fine Brothers, their story is caused by two successful creators trying to overreach and at least give the appearance that they are trying to claim and protect an entire genre of YouTube videos. While they claim that wasn’t their goal, liking React World to Burger King franchising out its name, not laying claim to all fast food, the rest of the Internet clearly took a different meaning. But while the two stories have very different sources, they have similar outcomes, creating havoc for many innocent creators and uncertainty for all the others on the site. However, the two stories also point to a much larger shared problem. Namely that YouTube is in a period of transition, one that’s seeing it steer away from being a simple user-generated content site and growing into a major media force. The story arc of YouTube is a strange one. When it first launched, it found popularity due largely to pirated clips, especially from TV shows. After Google purchased in 2006 it and began to make inroads against infringement, the site became more of a place for original content. Now though, the site has grown and many channels have millions of subscribers and it’s YouTube that is becoming the massive media company. The launch of YouTube Red only further cements that. Think of it this way. 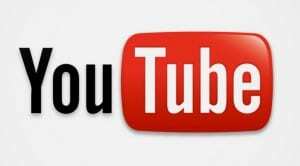 In 2007 Viacom, a major media corporation, filed a lawsuit against YouTube over piracy that took place on the site before the Google takeover. In 2016, it’s YouTubers complaining about being pirated, in particular on Facebook, calling it “freebooting”. But even as YouTube strives to make this transition, it never completely left it’s roots behind. YouTube still has an issue with piracy and YouTube is still very much a user-generated content site, including a great deal of content undesirable to advertisers. Any changes to YouTube’s algorithm were probably in an effort to reduce pirated and spammy content on the site. The problem was they caught way too many dolphins in the tuna net. Likewise, the Fine Brothers were trying to treat their content like a major media corporation, just doing so in a very tone deaf and inappropriate way. None of the transitions YouTube has made have come without pain but this one will likely be the worst of all for YouTubers. That’s because now it won’t just be YouTube trying to protect itself, but creators on it as well. In short, these controversies are, most likely, just a harbinger of things to come and YouTubers will likely want to brace themselves for some very difficult times ahead. When it’s all said and done, YouTube has a serious problem. If it wants to be a major media platform, it needs to distance itself from piracy, protect and nurture its most popular creators and provide a platform to let new creators build and grow a presence. To be clear, both of these stories are major screw ups. YouTube clearly overreached with its algorithm change and followed that up with poor communication and completely deficient support. Likewise, the Fine Brothers clearly overreached with their trademarks and not only pushed their arguments past the breaking point, but earned the wrath of an angry Internet. But these won’t be the last such battles. As YouTube transitions into a media power, it will go from just being the target of copyright, trademark and other abuse complaints to being the source. In short, the next big copyright or trademark case might feature a YouTuber or even YouTube as a plaintiff, not the defendant. At that point, YouTube will have truly come full circle.